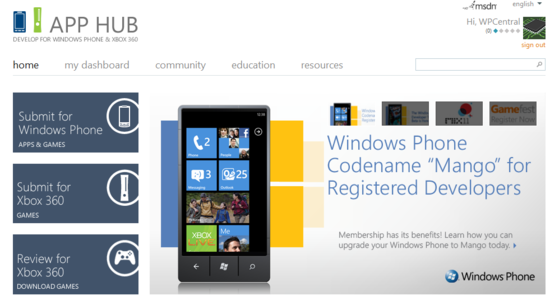 Developers will know that the App Hub website is exclusively for Windows Phone and Xbox LIVE Indie Games developers. It offers free tools, sample code, community support, and educational resources to help you develop your apps and games for Windows Phone and Xbox 360. The Hub was recently updated with some new features which I suspect developers will be happy to see.